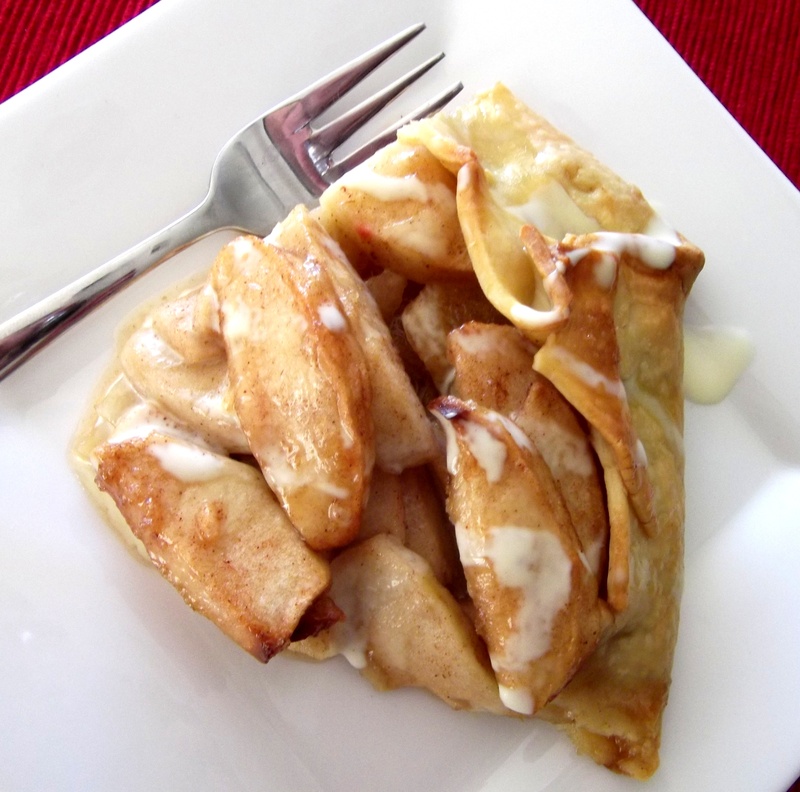 This is probably the easiest apple pie you will ever make. You can put this together in less than 10 minutes and it will fill your house with gorgeous smells whilst it cooks. 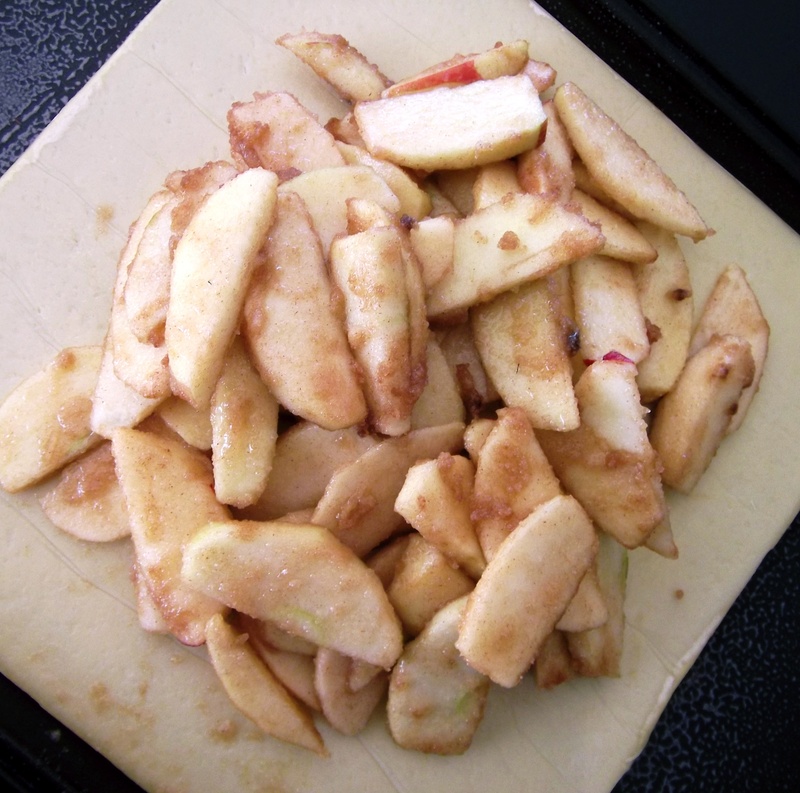 The prep time would be even less if you use the slicing disc on your food processor to cut the apples, but I think that would take away some of the ‘rustic’ appearance as the apple slices would be too perfect. I served my pie with cream, although it would work equally as well with custard or ice cream. I used ‘Sundowner’ red apples as they were the cheapest at the supermarket. ‘Granny Smiths’ or similar green apples would work too. If you don’t like apples then substitute pears or even berries but adjust the sugar accordingly. Spray a baking tray with a little cooking spray. Put the apple slices in a large bowl then add the lemon juice. Toss to coat. Add the two sugars and cinnamon to the bowl and gently stir to mix. The apples should be well coated in the sugars. 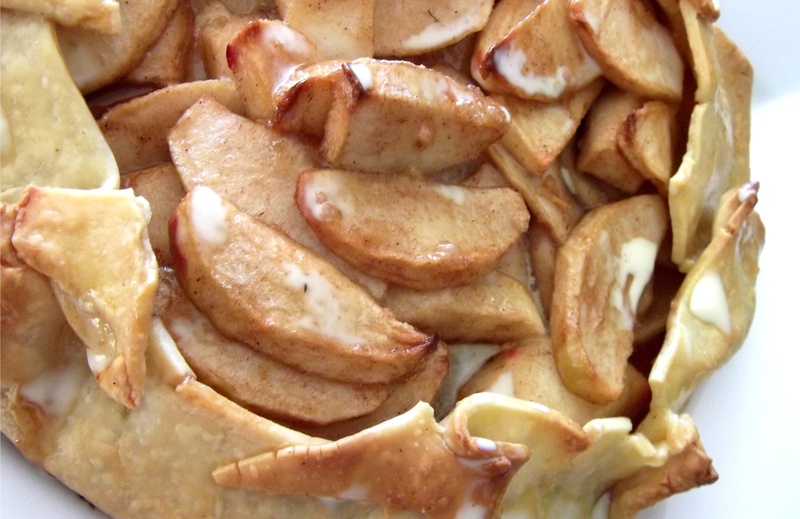 Put the pastry sheet on the tray, then pile all the coated apple slices in the middle. Fold the pastry edges up to form a rim around the apples. 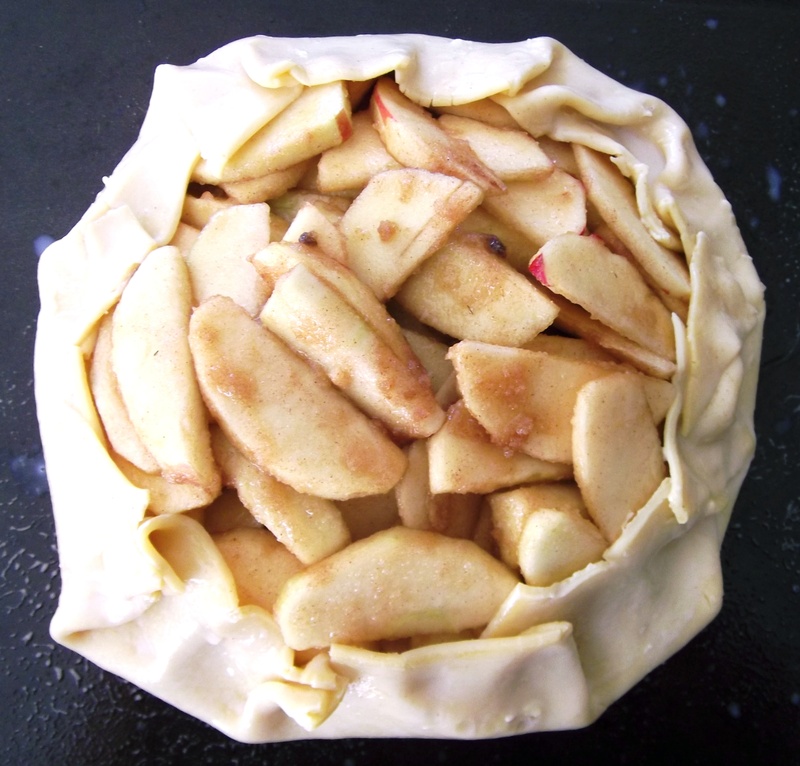 It doesn’t have to look perfect but try not to make any holes in the pastry or the apple juices will leak out. Tip: If you have any large areas of pastry fold (like the corners) then trim them off and use to fill in any gaps. Glaze the pastry rim with a little milk. Leave on the tray for 5 minutes before slicing and serving with your choice of cream, ice cream or custard. This entry was posted in Baking, Desserts and tagged Apples, Baking, Desserts, Food, Fruit, Holidays, Pie, Recipe, Recipes, Thanksgiving. Bookmark the permalink.